The True Story of The World's Most Astonishing Mass Prison Escape! 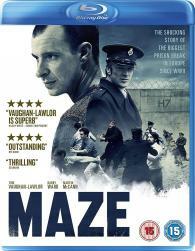 Based on the incredible true story of the 1983 mass break-out of 38 IRA prisoners from the HMP Maze high security prison, Maze charts how inmate Larry Marley (Tom Vaughan-Lawlor, Love / Hate), engineered the largest European prison escape since World War II. 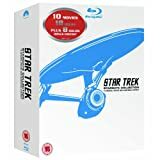 Up against the most state-of-the-art and secure prison in the whole of Europe - a prison within a prison - Larry must coordinate with inmates across several cell blocks. While scheming his way towards pulling off this feat, Larry forms a close bond with prison warden Gordon Close (Barry Ward, Jimmy's Hall). Both men are irrevocably changed by Larry's ultimate betrayal of trust when the breakout takes place. As both the epicenter of an enduring conflict and the source of its eventual resolution, the story of Maze is the story of the Troubles themselves.